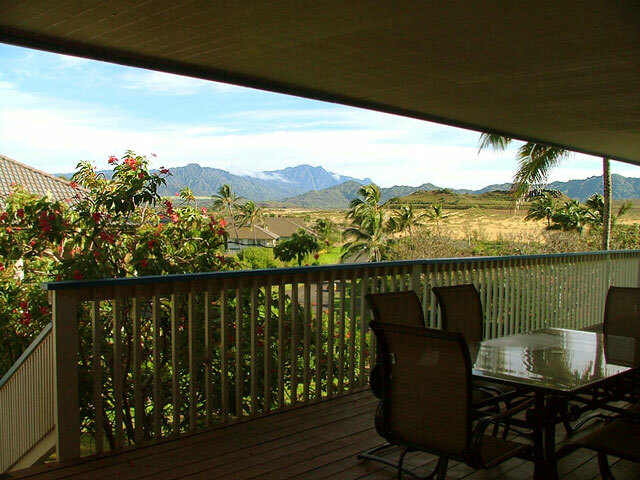 Enjoy distant Kahili Peak mountain ranges in the fore front and Waialeale in the distance. 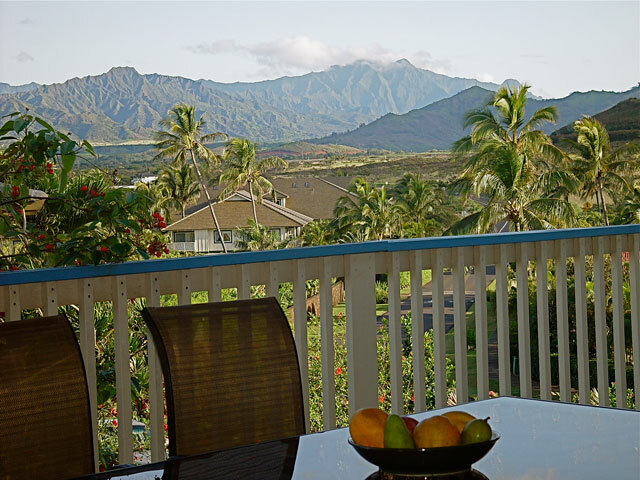 See the Pu'u Wanawana crater directly while having meals on the lanai. 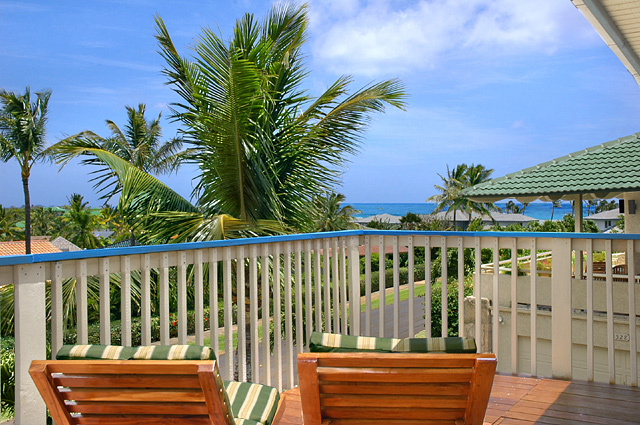 The Pacific Ocean view. 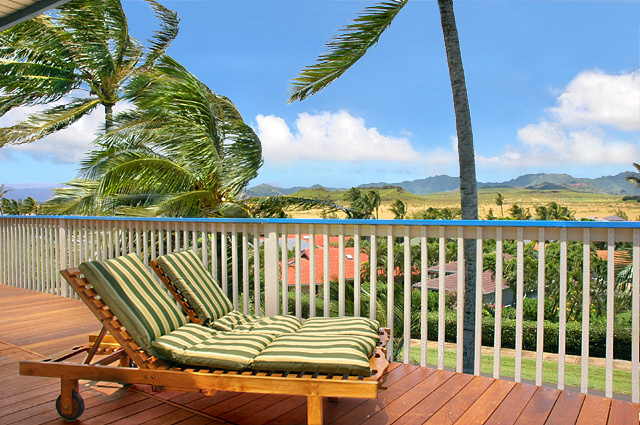 In winter, you can look out from the lanai or the living room and sometimes see whales spouting off Shipwreck beach. 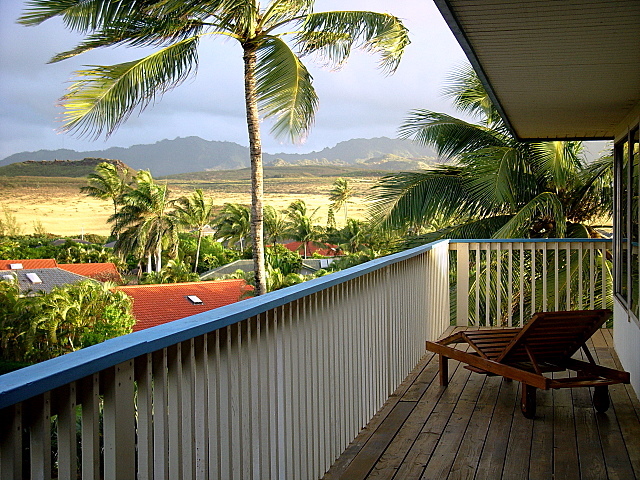 Great place to watch the sunrise, listen to bird chrping and coconut swaying in the wind. 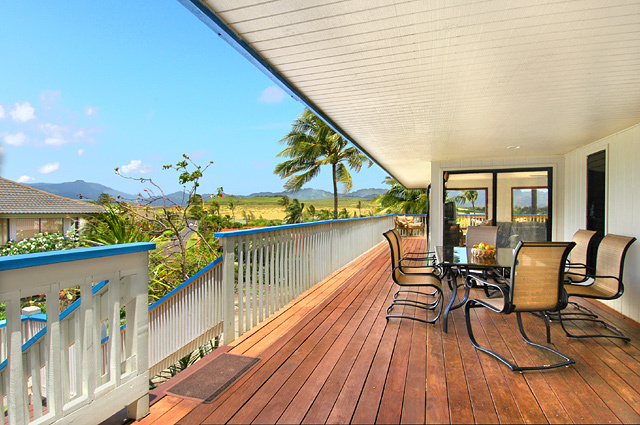 At night, star gazing or watching the Milky Way. 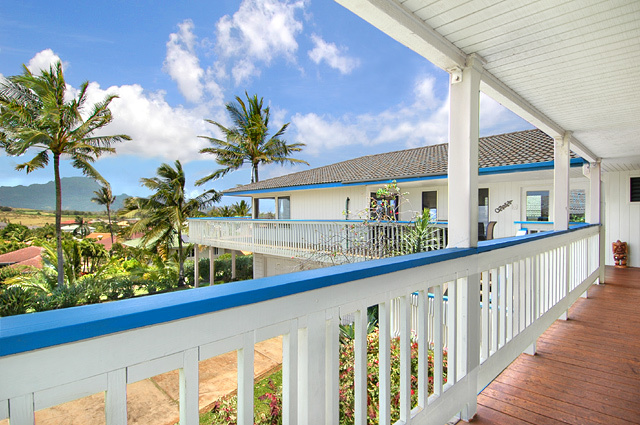 L-shape design of this rental home maximize the views for the main house and bungalow suite.